For climate policy advocates, California has been a kind of sanctuary state, unflagging in its commitment to ambitious mitigation strategies even as the Trump Administration moves to unwind programs at the federal level. In 2016, the California Legislature enacted an aggressive target for the state: reduce greenhouse gas (GHG) emissions 40 percent below 1990 levels by 2030. However, the state’s climate policies have been subject to ongoing judicial and legislative uncertainty. On April 6, 2017, a California appellate court lifted one of those clouds of uncertainty, issuing a 2-1 decision that preserves the state’s landmark cap-and-trade program – at least through 2020. California Chamber of Commerce v. CARB. Thereafter, the fate of the cap-and-trade program is in the hands of the California Legislature, which is considering whether cap-and-trade will play a role in the state’s future climate policies – and, if so, in what form. This Alert summarizes the CARB court decision and describes the legislative activity underway. 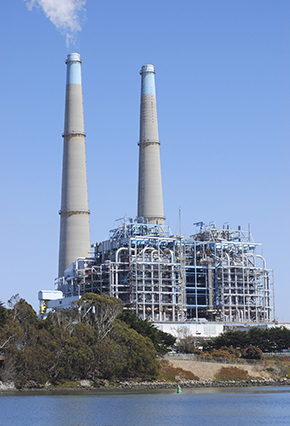 California launched its climate programs in 2006. In that year, the Legislature passed, by simple majority vote, a law directing the California Air Resources Board (CARB) to develop regulations to reduce the state’s GHG emissions to 1990 levels by the year 2020. The state law – known as A.B. 32 – authorized CARB to establish market-based policies to achieve the emission target. In 2012, CARB launched an economy-wide cap-and-trade program as one of a suite of policies aimed at meeting the A.B. 32 emission limit. The cap-and-trade program requires regulated businesses to reduce emissions; offset emissions through offset projects or by purchasing offset credits; or surrender allowances. Under the program, CARB has distributed a set amount of allowances each year – partially through direct allocation and partially through a state-run auction. In 2012, the California legislature passed bills directing how auction revenues could be spent by the state. Allowance purchases in the auction have yielded over $4 billion in revenues, which the state has used to support a high-speed rail project and other authorized activities. Shortly after the launch of the cap-and-trade program, a group of businesses and trade associations challenged the legality of the auction. The plaintiffs argued that the auction exceeds CARB’s mandate under A.B. 32. They also argued that the auction amounts to a tax and, as such, violates requirements of the state constitution. In particular, the plaintiffs cited Proposition 13, a 1978 constitutional amendment requiring a two-thirds supermajority vote in the Legislature to enact any tax. They also cited Proposition 26, a 2012 amendment that expanded the definition of “tax” to include regulatory fees. In a 2-1 decision, the appellate court rejected these arguments. First, the court held that establishing the auction fell within CARB’s discretion under A.B. 32. The court reasoned that the Legislature’s mandate to CARB to establish a market-based program was sufficiently broad to encompass an allowance auction – and, in any event, the Legislature later ratified the auction system when it passed bills in 2012 specifying how revenues could be used. The court also held that the CARB auction did not trigger the two-thirds supermajority vote requirement. First, the court’s decision held that only Proposition 13 applied to A.B. 32 and the cap-and-trade program, not the later-in-time Proposition 26; therefore, the only question was whether the auction system is a “tax.” The court concluded that the auction is not a tax because: (1) the auction is not compulsory (regulated entities can avoid buying allowances in the auction by reducing their emissions or buying offset credits); and (2) allowances purchased through the auction are a valuable property interest (regulated entities can use them as right to emit or sell them in a secondary market). For at least one commentator, the court’s analysis raises the tantalizing possibility that that the judiciary not only views an allowance auction as something other than a Proposition 13 “tax” but also as something other than a Proposition 26 “regulatory fee” – implying that the Legislature could extend the cap-and-trade program beyond 2020 without triggering the two-thirds supermajority requirement. However, another commentator cautions that cap-and-trade advocates should not hang their hats on the dicta in an appellate court case. Indeed, some plaintiffs have already announced that they plan to file an appeal of the CARB case with the California Supreme Court. Due to the CARB decision, the cap-and-trade program lives to fight another day, but its future still remains in doubt. In September 2016, the Legislature passed S.B. 32, which set a new marker for CARB – a mandate to limit the state’s GHG emissions by 40 percent from 1990 levels by 2030. However, it is not a given that CARB’s A.B. 32 authority to implement the cap-and-trade program extends beyond 2020, and S.B. 32 is silent on that subject. There are indicators that the Legislature has qualms about cap-and-trade. When it passed S.B. 32, the Legislature also passed A.B. 197 as a kind of package deal. The companion bill is also silent on cap-and-trade but explicitly directs CARB to “prioritize” rules and regulations that result in “direct” emission reductions. In other words, A.B. 197 tells CARB that it should reduce its reliance on flexible, market-based approaches in favor of command-and-control approaches. The state’s politically powerful Environmental Justice (EJ) community strongly advocated for A.B. 197 as a companion to S.B. 32. The EJ community claims that the cap-and-trade program has made it possible for large stationary sources in the state to maintain or even increase their emissions of conventional pollutants. The basis for this claim is unclear, given that the cap-and-trade program does not exempt sources from existing permits or any other limitations on their conventional pollutants. EJ advocates are also sharp critics of offset projects, such as forestry activities or projects that destroy ozone-depleting substances. The advocates make the point that many of these are implemented outside the state, depriving California of monetary and GHG benefits. Again, the rationale for the environmental claim is questionable. GHGs are globally-mixed pollutants, which means that reducing a ton of GHGs has the same climate benefit wherever the reduction occurs. Nevertheless, the EJ community has many supporters in the California Legislature. In January 2017, CARB issued a Scoping Plan outlining proposed strategies for meeting the S.B. 32 emission limit consistent with the directives of A.B. 197. The Scoping Plan contemplates continued implementation of the cap-and-trade program. However, the plan also suggests that CARB might reduce direct allowance allocations (in favor of broader auctioning) and impose new restrictions on the use of offset credits. The plan also calls for new direct measures for refineries. Under these measures, refineries would be required to achieve an overall 20 percent reduction in GHG emissions from current levels – with benchmarks for each refinery based on emissions-per-unit-output. CARB is targeting June to promulgate these regulatory amendments. Governor Jerry Brown, for his part, is making a major push for Legislative authorization for a post-2020 cap-and-trade program. Furthermore, he is seeking a two-thirds majority vote to ensure that there is no doubt about the viability of the auction system. This gambit requires at least two political factors for success: (1) a concern within industry that it could face the stringent 2030 emission target without market-based measures for compliance; and (2) the interest among legislators in having a pot of revenues to allocate to popular programs. To be sure, this political calculus might require the state to continue to whittle away at its cap-and-trade program and other market-based measures to mollify the left. Yet, California’s suite of climate policies is already heavily encumbered by “complementary measures”, including the Low Carbon Fuel Standard, an increasingly aggressive Renewable Portfolio Standard, and a raft of efficiency programs. With so many mandated, command-and-control-based reductions, it is little wonder that the cap-and-trade program yields a relatively low price for allowances; after all of the required reductions, businesses need to purchase only a small number of additional allowances. Nevertheless, low allowance prices do not necessarily mean that compliance costs are low. A cap-and-trade program can help ensure that reductions are achieved wherever they can be achieved at lowest cost. With so many direct mandates, the cap-and-trade program cannot meet its full potential to lower costs of compliance with California’s climate programs. If CARB adds direct emission reduction requirements for refineries, and if the Legislature imposes additional “direct” reduction requirements, such steps will further diminish the cost-saving potential of the cap-and-trade program. With the CARB decision, California’s cap-and-trade program and its allowance auction live to fight another day. However, as the state weighs its options for meeting its ambitious 2030 emissions limit, the cap-and-trade program and other market-based measures face heavy-weight opponents from both the left and the right. Time will tell how broad the base of support is. In addition, there is a risk that the ultimate bargain will erode the potential of the cap-and-trade program to help ensure that the state’s ambitious 2030 emission limit can be achieved at acceptable cost. Van Ness Feldman represents clients in California on a range of environmental, climate, and energy matters and participates actively in proceedings at the California Air Resource Board. For more information, please contact Kyle Danish or any member of the firm’s Environmental practice.